Terri M. Cahoon has been named chair of Samford University's Ida V. Moffett School of Nursing nurse anesthesia program, effective immediately. Cahoon has served as an assistant professor and associate chair of the program since its inception in 2003. She replaces Mary Karlet, who resigned in December. 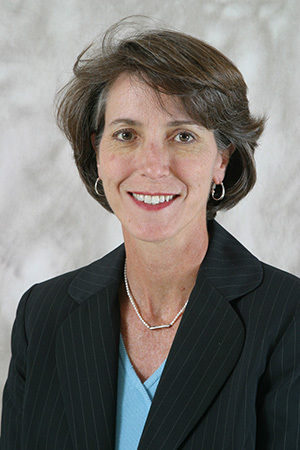 Cahoon has been instrumental in the integration of simulation into the curriculum and she has served as a critical link between the nurse anesthesia program and its alumni. More than 170 students from 19 states have graduated from the program over the last decade. "The Ida V. Moffett School of Nursing is very fortunate to have a person of such integrity, skill and devotion to the profession assume this leadership role," said Nena F. Sanders, Ida V. Moffett School of Nursing dean. Cahoon said she is looking forward to this new role. "I am excited about the opportunity to continue to work with our incredible faculty, staff, and administration to help our students pursue excellence and promote the outstanding reputation that our graduates have established," said Cahoon. Cahoon's academic areas of interest include pharmacology, non-technical skills, cardiovascular, and pediatric anesthesia. She practices clinically at St. Vincent's Hospital or Children's South in Birmingham one day each week. Prior to joining the faculty at Samford, Cahoon practiced clinically as a nurse anesthetist for nine years and as a registered nurse in cardiovascular intensive care units for eight years. She obtained the bachelor of science in nursing from Auburn University, a master of science in nursing from the University of Central Arkansas, a nurse anesthesia degree from the University of Alabama-Birmingham and the doctor of nursing practice from the University of Tennessee Health Science Center.